This handy guide tells you everything you need to know about Maths at Key Stage 2. It has been updated to match the new National Curriculum and is ideal for supporting learning in class or to help with homework. Schools wanting to be invoiced please click here. Our Key Stage 2 Study Guides are also available for English and Science. i loved it i passed my sats!!!!!!!!! i think that this will really help me and it is really helpful. it has helped me with a lot of things, if i am stuck on something i know straight away where to go and look. Am using this now to help my son revise for his Maths SAT in May. Very helpful tool for revision and to pin point any weak areas your child may have in maths. Fantastic book! Amazing i have english and maths 5 stars!!!!! I use this book for my year 6 son. Very helpful. 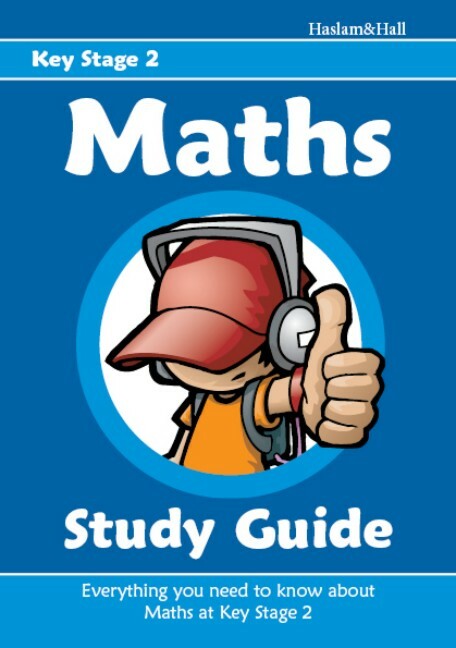 my name is Angjili and i have read the maths studie guide and would like to say that is is brillant and i think you should jave 10 of them out!!! i am really impressed with this maths guide. it is very easy to read, and the format encourages you to read on. as a parent i was amazed at how much maths i had forgotten and this book really helped me to refresh my maths so that i can help my two boys. This is so brilliant i have the english one aswell and they are both make it clearer to see and the layout is great too. Top marks! Bought this book for my daughter,it has been a very helpful book to her and me! My daughter's school recommended this at parents evening. Super-quick delivery! I used the maths guide with my year 6 class last year after receiving a sample copy. Thanks :) Will use again this year.